Mother’s Day is just around the corner and the designers at BRAVE Leather have some fantastic fashions for Mom! 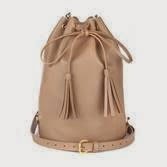 I instantly fell in love with the Dara Leather Drawstring bag. It holds everything I need from a day to day perspective. It also holds my iPad mini comfortably. My daughters, each picked out leather bracelets to update there tween wardrobes. They have become more interested in fashion this year it is very interesting to see their fashion styles emerge. “BRAVE was created in 1992 by founder Scott Irvine became the first member of his family to graduate from university. The family’s expectation for the burgeoning career of an educated family member was somewhat tempered when Scott announced his intention to become a street vendor. Selling his hand-crafted leather goods on the street may hardly have seemed to be a lofty profession after spending four years in the halls of higher learning – and yet the year end tally showed sales of $66,000 in just six months – a promising start for what would be become an iconic Canadian brand. 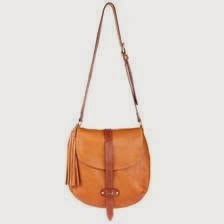 This versatile bucket bag is featured in soft vegetable tanned leather with a drawstring closure and tassel accented ends. The adjustable strap converts it into a backpack. Available in galaxy silver, azzaro blue, sienna and nut. This beautifully handcrafted bracelet is made from Italian vegetable tanned leather. BRAVE’s best-selling wrap belt updated with fringe detailing. Available in ranch, black and tobacco. BRAVE’s classic clutch updated for the season with hair-on leather and accented with gold. BRAVE’s classic cross-body hobo bag is made from buttery soft Italian Cervo leather. Available in tan and black. This cuff adds a pop of personalized style. Available in 10 different colours. You can check out everything that BRAVE leather has to offer for additional gift-giving and spring style ideas. Items are available across North America at various fine retailers. Free shipping on orders $125 or more. ← Marvel Universe Live is coming to Canada!